I remember when I was at a loss on what to use for muffling because I was out of money. Wow! Thanks mga Sir. Akin ay tissue lamang at kukuha aako nang scotch tape tapos idikit ko lang. Ok lang po ba yan mga Sir? Need advice. Only One Life so Soon it will Pass,Only Whats Done For Christ Will Last. effective to for me. ilang kapitbahay ko rin ang napatulog ko ng mahimbing dahil gumamit ako nito. 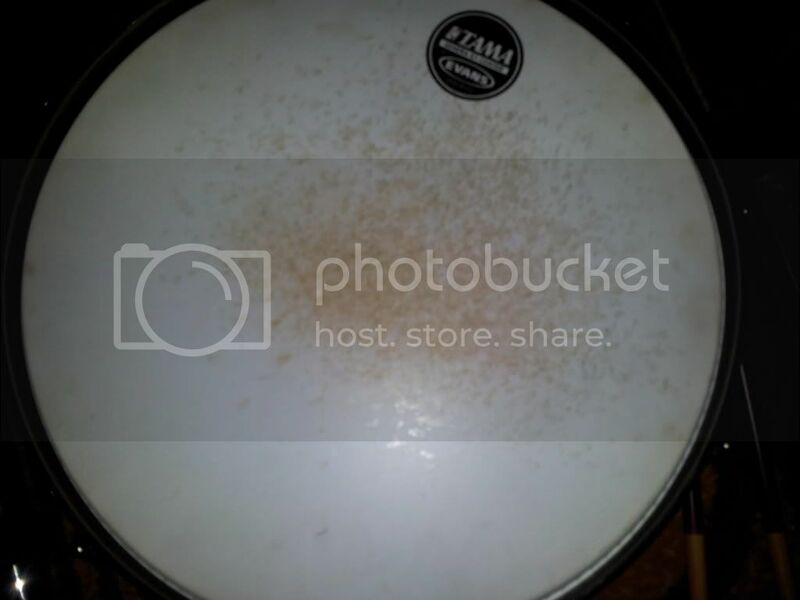 ang ayoko lang dito, kapag medyo matagal na, nakakadumi ng drum head. i took out my old drum mutes para isalpak ko ulit dun sa set ko, ilang araw lang, andumi na agad. Smart has the brains but stupid has the balls. saan ka naka score nyan bro? pa pm naman ng price? how about the cymbals sir di ba sya nakakasira ng cymbals or pumapangit na tunog ng cymbals kapag wala na mute. iirc, mga 3.5k ata bili ko dito dati perfect pitch. not sure mgkano na siya ngayon. hindi rin siya nakakasira ng cymbals or nkakapangit ng tunog after tanggalin. they are just soft rubber pads that dampen the sound. for me, di rin siya nakakasira ng dynamics sa palo as it still kinda feels like a normal drum head. i use double sided tape with foam. parang nung nasa floor toms..
May naka-gamit na po ba ng Lazer drum mutes dito? ok po ba as in totally muted ba talaga ang sound ng drum kit? 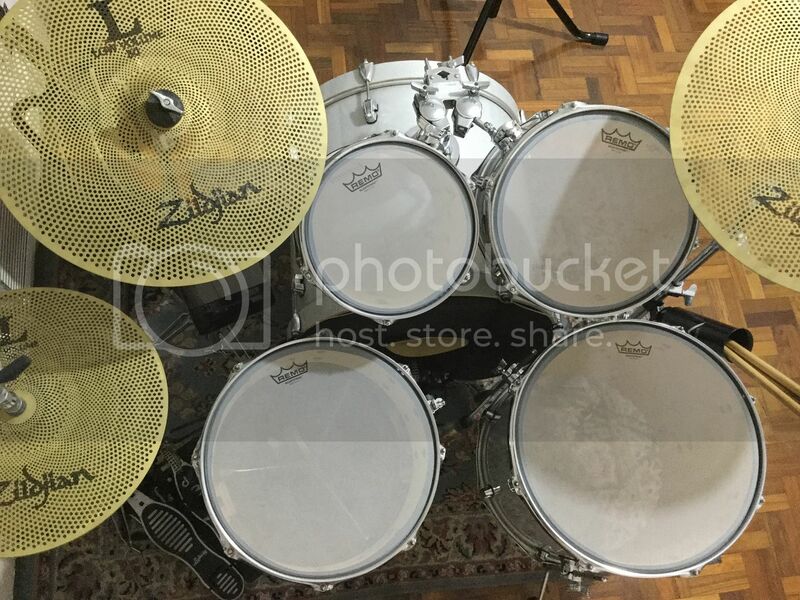 Mas mura kasi kesa dun sa Vic Firth drum mute, around 1K plus daw nung tumawag ako e....thanks. meron bang tried and tested na drum mute na hindi napudpod? kasi yung vater ko after some time e napupudpod siya tapos yung rubber bits na natatagal dumikit sa rims,pedal atbp at ang hirap linisin ng sahig ko after a week.. baka mag electronic na lang ako pag hopeless nako. plus yung bass drum mute ko e after 6 months e humiwalay na dun sa foam. Pwede naman magreply sa pm,libre naman serbisyo ng philmusic bat ang tamad niyo pa magreply sa mga offer niyo. I'm planning to buy a drum mute for my kit. Just wanna up this thread for more advice since this topic has not been posted for a while now. what are the best buys? Pro's and con's? Best alternatives?, etc.. I'm seeking for a mute that will not suffice the real feel of the drums (if that's possible ). Probably, edrums is my last resort. Thanks everyone! Nice! I'll try those mesh batters. Yun nga lang medyo mahirap mag switch from acoustic sound to muted. Hehe.. Di po ba siya madaling masira? I've watched some vids from youtube, it looks like stockings pag malayo. Lol. Thank you sir! When you use mesh heads, kailangan nylon tips yung gamit mo na sticks. Pag wood kasi tapos nagssplinter na yung tip, sasabit sa mesh at malaking gulo yun. 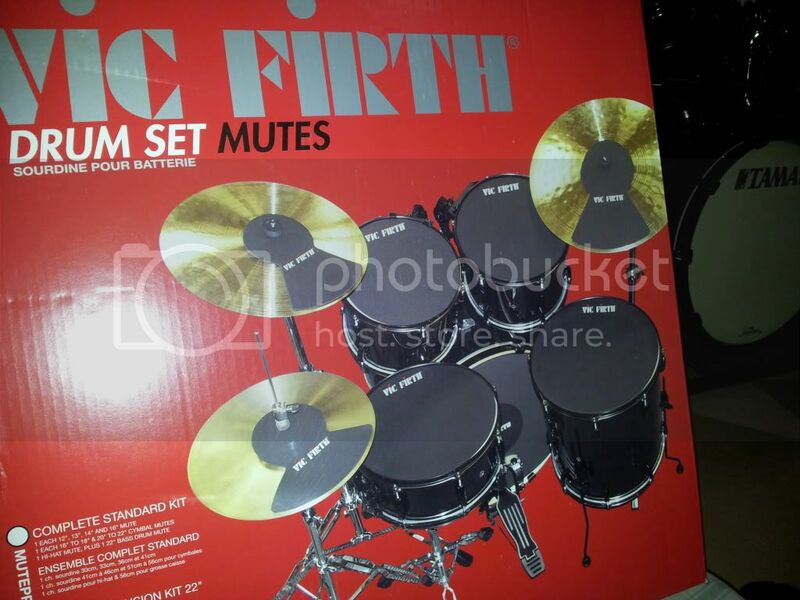 -Vic Firth Mutes will do. Not really the best, coz as stated above, the feel would be greatly compromised. AND, it won't be muted at all. -Different feel. Bounce would be greatly affected. -It may slip, so adhesives are advisable. -It may soon wore out. -Minimized sound. Not totally mute at all, but decibels are lessened. -You're actually playing your actual kit. The height adjustments will never be compromised. -You can play anytime you want without annoying the people around you that much. -None at all. BUT, 12'' Practice Pad and Gibraltar's Bass Drum Practice Pad will somehow help you hone your playing skills, range of motions, muscle strength, muscle memory and the likes. Another thing, these two pads are less expensive compared to the mute pads. 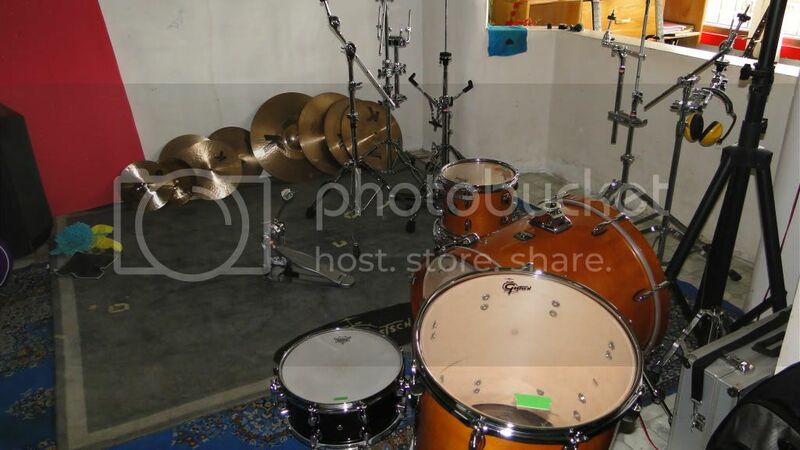 Planning for a Band Rehearsal Studio business. Baka may alam kayong space for rent around QC area lang. Please PM me. Thank you. Thanks for your input guys! Very helpful!! @musicianurse28: I agree with those practice pads. Actually, that's my first option. But I really wanted sana at least my 2toms (as you've said about the height thing). Pero mas mukhang mapapamahal ata ako dun. Hahah. Kaya drum mute yung naisip ko. But after these reviews, mukhang negative kase gusto ko din talaga mapractice ung ghost notes and double strokes ko lalo sa pedal. That's also the reason why I want to maximize my playing time. my silent drumming setup with mesh heads, bass drum muffler and low volume cymbals. Magkano inabot lahat sir if I may ask? sir binili mo ba to sa JB? pati yung Remo Silent Heads? Bad Behavior has blocked 46791 access attempts in the last 7 days. Page created in 0.169 seconds with 26 queries.